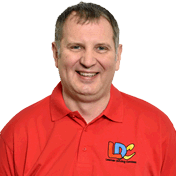 I really enjoyed my driving lessons as, from the beginning, I was given a large amount of independence thanks to the LD System. I felt in control because I could plan my own lessons which meant that I was more inclined to retain the skills covered in my lessons; this was supported by the evaluative process that I carried out after each session, helping me to identify areas for improvement. The LDC workbook provided the necessary information in a logical and efficient manner and I was able to make notes and highlight any particularly relevant of important points. The quiz questions were equally helpful as they were a good way to ensure retention of important information before getting into the car and putting it into practice. Shayne was a fab driving instructor as he enabled me to drive independently by not providing an excessive amount of input, whilst still giving support and inspiration in terms of things we could do in lessons. He also offered my parents and I ideas as to what we could do outside of this time. He always asked useful questions and gave handy suggestions along the way which made my learning positive, reflective and enjoyable. 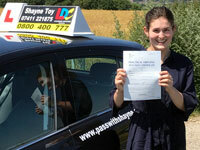 Overall, I really enjoyed my driving lessons and feel as though I improved week on week. Although it was useful to be lucky enough to be able to practice outside of my lessons, these sessions provided me with an extremely strong foundation and I have to admit that I'm a little sad they're over!